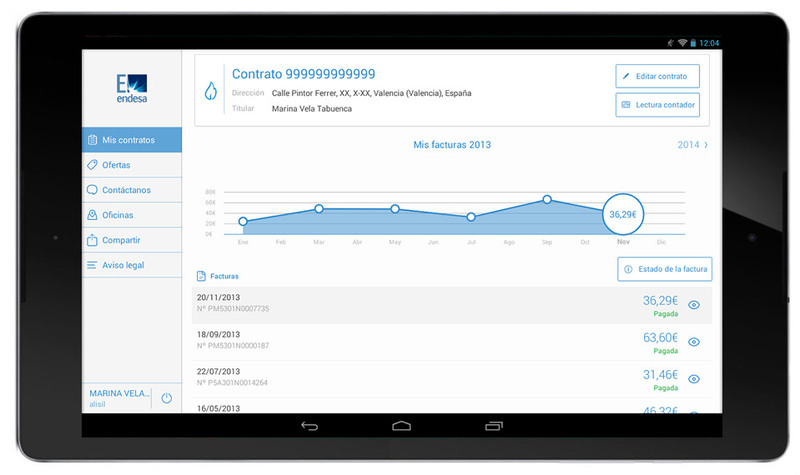 With our application you always have all the information relating to your contracts at your fingertips. 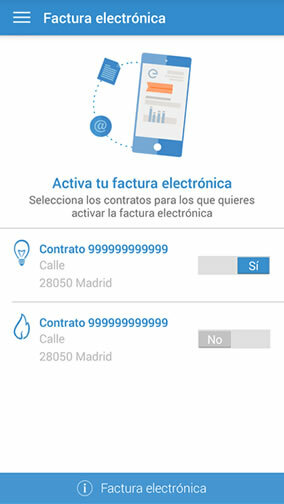 Endesa Customers is the free, fast and easy to use App available to you, so you can manage your electricity and gas contracts, check your bills from anywhere, enter your meter readings and check out our exclusive offers. You will also be able to access our contact channels and locate your nearest Offices and Service Points. 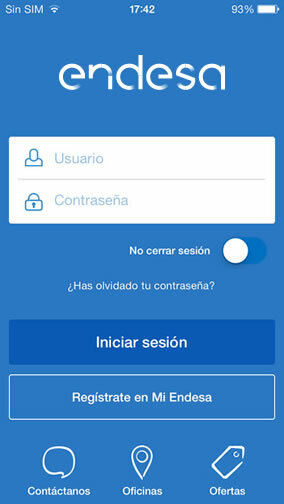 What can I do with the Endesa Customers app? By means of personalised sheets, we outline the following information: Your accumulated consumption since your last bill (also indicating if you are consuming more than last year during this period), the last bill issued and the progress of your bills this year. 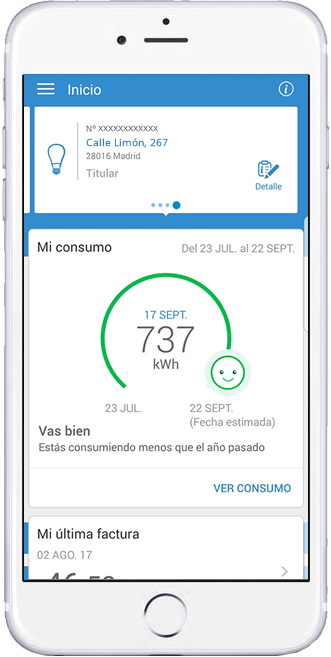 The Endesa Customers app provides all your contracts and bills along with a consumption evolution graph, where you see at a glance the yearly evolution of your expenses, for the current year and for previous years. 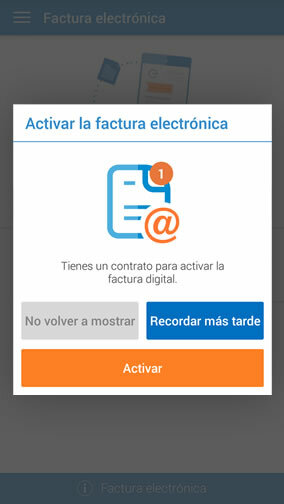 From My Contracts, you can easily modify the details related to the contract holder, payment, address, and the contracted power and rate. In addition, from My Contracts, you can view the list of bills for the current year associated with each contract. 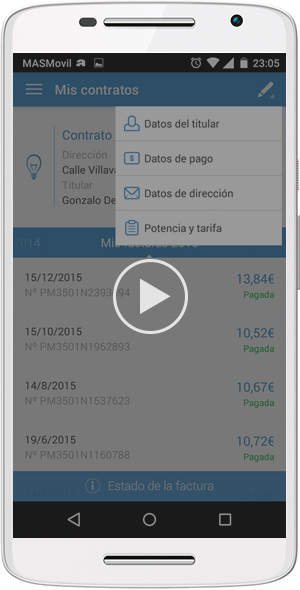 We show the date, the amount, invoice number and status. 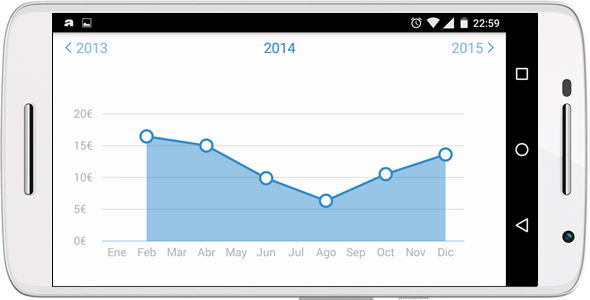 You can also check invoices from previous years. 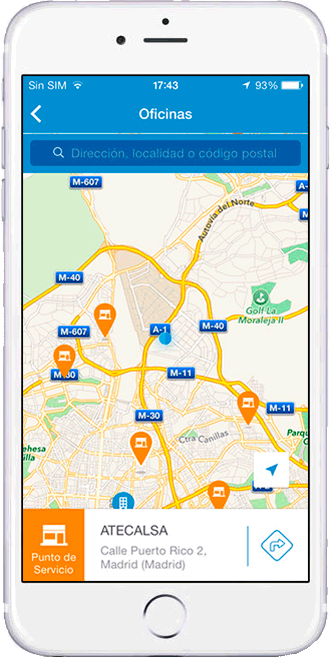 Through the Endesa Customers app you can comfortably locate the Offices and Service Points closest to you. Moreover, with the application, you will find the different contact channels available, to help you solve all your queries. You can contact us via Twitter, email, phone and WhatsApp instant messaging service. With the Endesa Customers application you can contact us with ease via Twitter, e-mail, contact forms or telephone, to solve all your queries. A success. Very good, useful, simple, easy to use, the best in the sector. It is practical and tends to work properly.